February is the month of romance and we’re thrilled to give you a line-up sure to capture your heart. 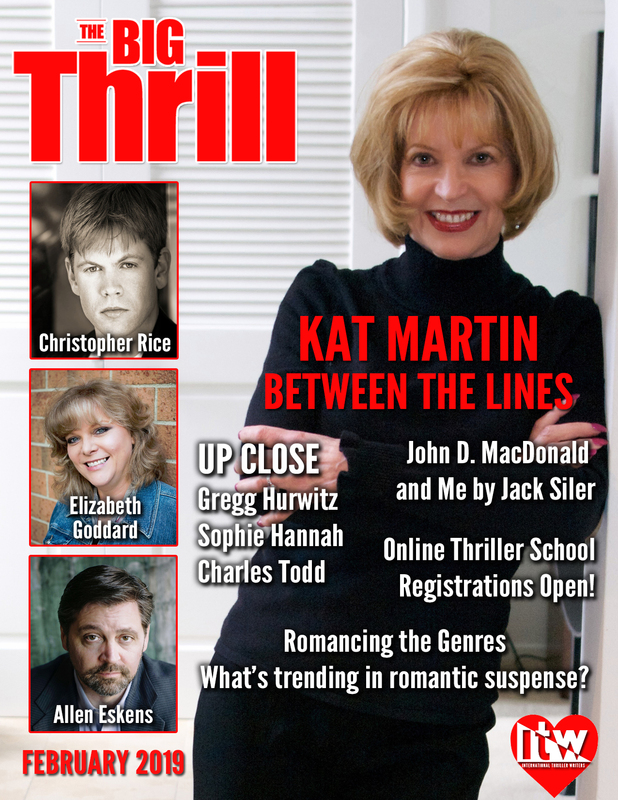 Romantic suspense queen Kat Martin graces our cover and shares insight about the first book in a brand new series, while Elizabeth Goddard talks about how her books have stood the test of time. 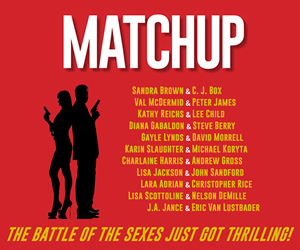 Dawn Ius takes a look at what’s trending in the romantic suspense category, plus we’ve got up close interviews with Christopher Rice, James Grippando, Gregg Hurwitz and 25 other authors we know you’ll love. 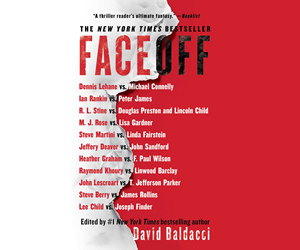 The latest thrillers from Steve Berry, Heather Graham, Brad Parks, Rick Mofina, E.A. Aymar, Cara Robertson, Max Allan Collins, Eileen Cook, Peter Swanson, Jacob Stone, Diana Rodriguez Wallach, Marc Cameron, Eric J. Guignard, Paul Heatley, Karen Ellis, Annelise Ryan, Bonnie Kistler, Sherry Knowlton, D. K. Hood, Rachel Amphlett and many more! In this eight-week program, which begins March 25, 2019 the craft of thriller writing will be front and center. Each instructor will teach an aspect of craft though a podcast, written materials that include further reading and study suggestions, and an entire week of on-line Q&A with the registered students. The goal is simple: To make each student a better writer. ThrillerFest XIV: Registration is Open! Your ThrillerFest team proudly announces that the 2019 conference, held at the Grand Hyatt, New York City from July 9-13, is open for Early Bird Registration now. Don’t wait! Take advantage of the lowest prices available for the conference. Lock in your price for this great event now. Authors, don’t miss this promotional opportunity! Participate in the Thriller Roundtable by contacting J. H. Bográn. Congratulations to Sandra G. and Laura M. for winning January’s New The Big Thrill Book Giveaway! 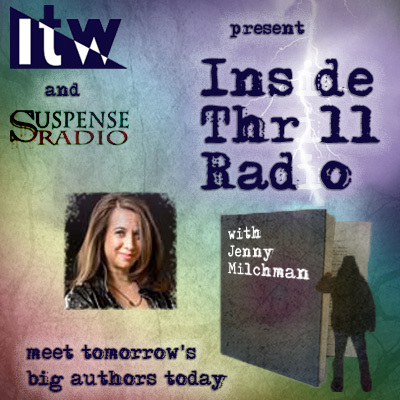 Sandra and Laura will each receive 10 signed thrillers from ITW members! You could be February’s winner. 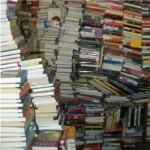 On February 15 we will choose 2 more lucky winners to receive 10 signed books each. CLICK HERE to enter our next Big Thrill Giveaway.